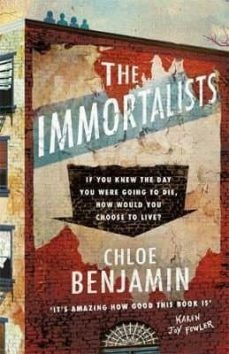 It's 1969, and holed up in a grimy tenement building in New York's Lower East Side is a travelling psychic who claims to be able to tell anyone the date they will die. The four Gold children, too young for what they're about to hear, sneak out to learn their fortunes. Such prophecies could be dismissed as trickery and nonsense, yet the Golds bury theirs deep. Over the years that follow they attempt to ignore, embrace, cheat and defy the 'knowledge' given to them that day - but it will shape the course of their lives forever.